"Uh-oh, he's thinking too much," she says. "You are going to cut me to ribbons, I can tell. What's the argument for this story? That I am still breathing? I don't talk about the past," she proclaims, taking a piece of Bissinger's and pushing the rest in my direction. Nevertheless, the past is present everywhere in this room and all over the apartment. It is, in fact, never far from her thoughts. She has lived in great comfort in this place since 1961, when she bought it for $48,000. "I called my business manager in California and said, 'Sell all of my stock'—what little of it I had—and it's the only smart financial move I ever made," she says. The north wall of the parlor, which she faces, is a map of memories in the form of framed photos, drawings, and ephemera, testifying to the fact that she knew the greats from a tender age. "It's not about me. It's about all the people who were my friends," she says. The centerpiece is a vermilion portrait of her as the character Schatze in How to Marry a Millionaire (1953) by that film's director, Jean Negulesco. She was at the height of her beauty then. "My son tells me, 'Do you realize you are the last one? The last person who was an eyewitness to the golden age?' Young people, even in Hollywood, ask me, 'Were you really married to Humphrey Bogart?' 'Well, yes, I think I was,' I reply. You realize yourself when you start reflecting—because I don't live in the past, although your past is so much a part of what you are—that you can't ignore it. But I don't look at scrapbooks. I could show you some, but I'd have to climb ladders, and I can't climb." I remember my mother reading Bacall's autobiography when I was a kid. It won a National Book Award and is one of the finest Hollywood memoirs, not only for her life with Bogart but for her life after him. The picture on the back cover was something I looked at a lot. Man, she was so glamorous and I imaged that my mother and father were that romantic when they met. My mom was a beautiful young woman but her romance—and marriage—to my father did not last. Still, she pushed on, and was not defeated. 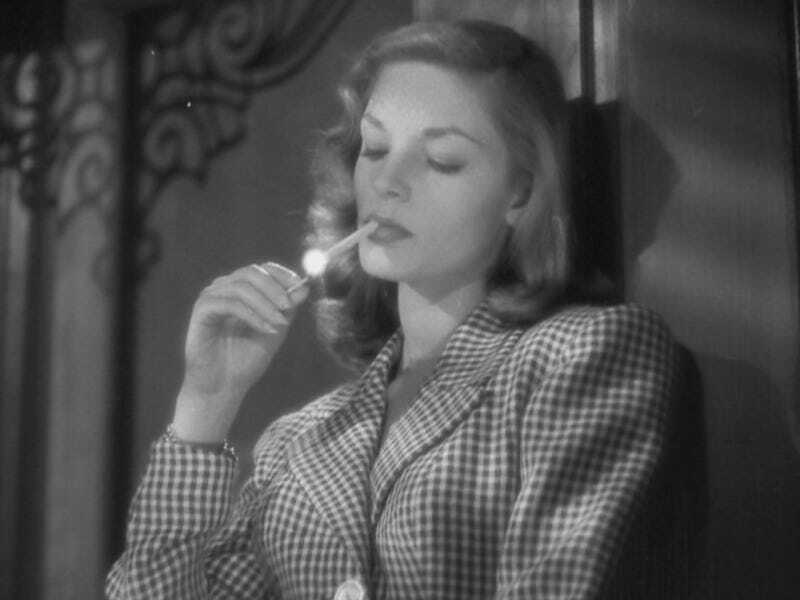 I've always thought that Bacall's book helped her out during the painful early days of her divorce.